Introduced by a mutual friend, Crystal and Jesse met at the gym. He was into bodybuilding, and she loved distance running and obstacle courses. One day at the gym, Crystal told Jesse she was doing a 50-mile race and asked if he wanted to do it with her. He agreed, and the couple has been racing together ever since. 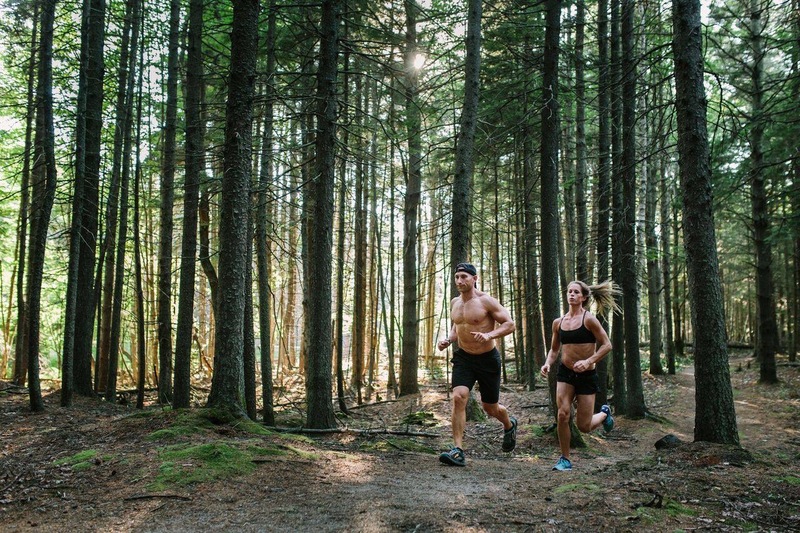 After completing numerous obstacle course races including Tough Mudder and Spartan races, Crystal introduced Jesse to ultramarathon running, which includes any race longer than the traditional marathon of 26.2 miles. He immediately fell in love with it. The pair started using Isagenix products to fuel their training and racing. Jesse admits to having tried thousands of dollars worth of bodybuilding supplements over the years, but says he now refuses to use any of them. The pair remains passionate about bodybuilding as well, which was challenging at first. Many athletes believe that you can’t be a bodybuilder and an ultramarathon runner at the same time, as it’s difficult to maintain muscle mass while engaging in that much endurance training, but Crystal and Jesse didn’t let this belief stop them from doing what they love. Through trial and error, they have discovered how to create the balance they have today, in which they are running and hiking anywhere from 45-70 miles and doing three to four heavy-weight workouts per week. ©2018 Isagenix Worldwide, Inc. All rights reserved. No reproduction without prior written permission. Unless otherwise indicated, all trademarks and product images displayed on this site are the property of Isagenix Worldwide, Inc.nix.